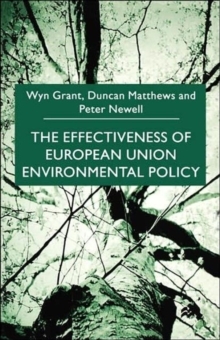 Several hundred directives on environmental policy have been produced by the European Union. What impact has the output of the 'legislative factory' had? 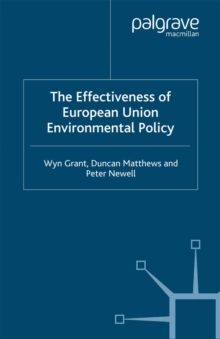 After considering how decisions on environmental policy in the EU are made, and the balance of power between business and environmental interests, this book draws on the specialist expertise of the authors to look in depth at the areas of global warming, water pollution and air pollution. Pages: 237 pages, X, 237 p.